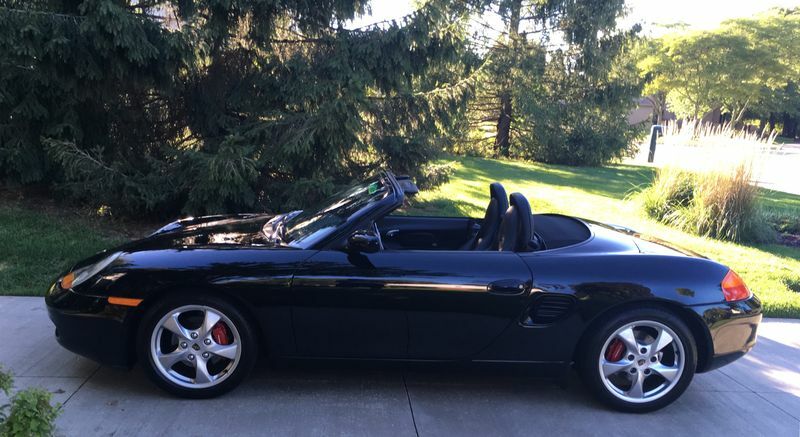 Selling my triple black 2002 base Boxster. 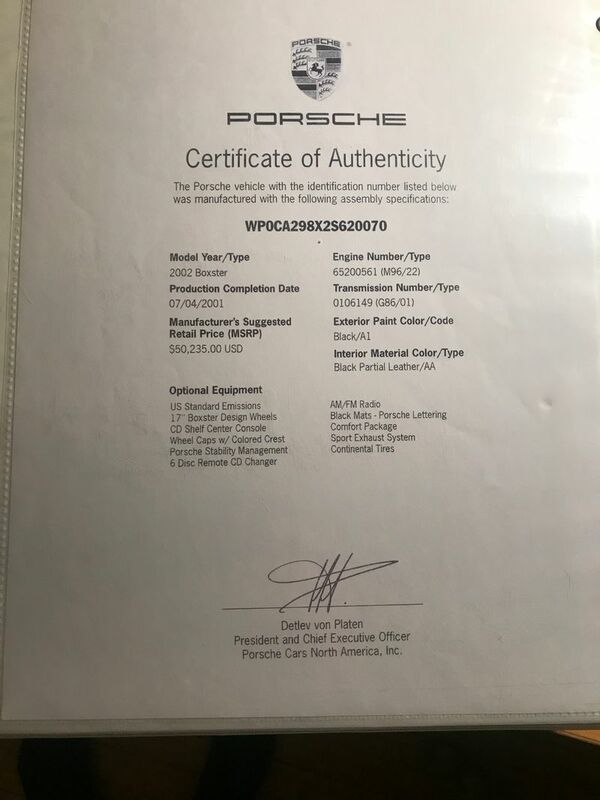 IMS (LN) and RMS have been done by our local Porsche dealership. 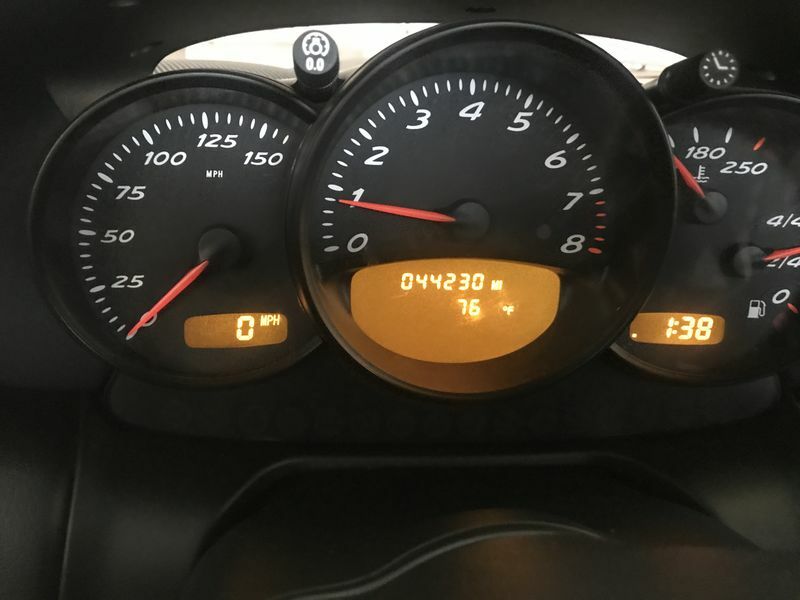 This is a very nice clean car, with only 44k miles on it. 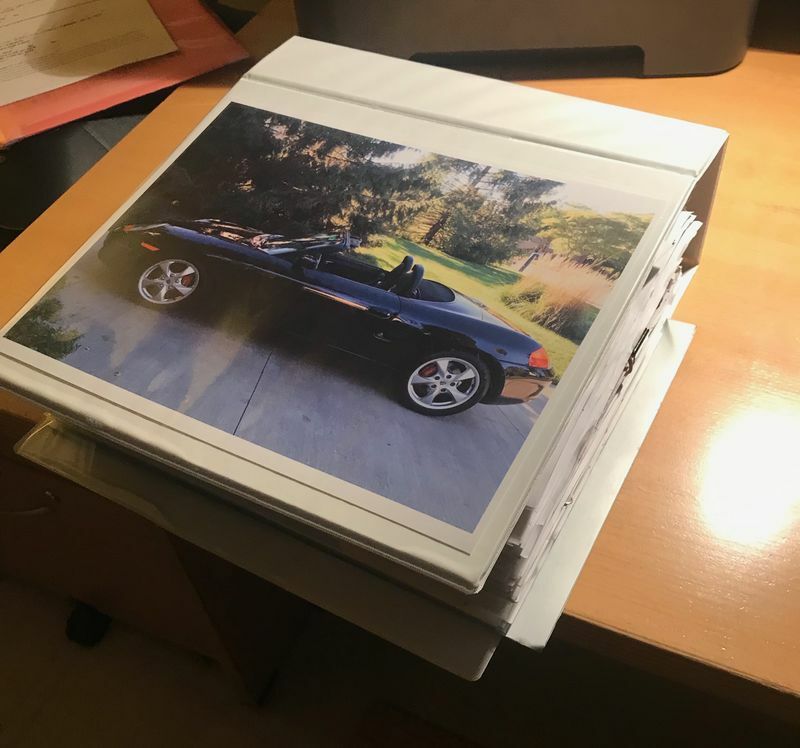 I am the 4th owner and I have complete ownership and maintenance history all organized in a 4" binder. 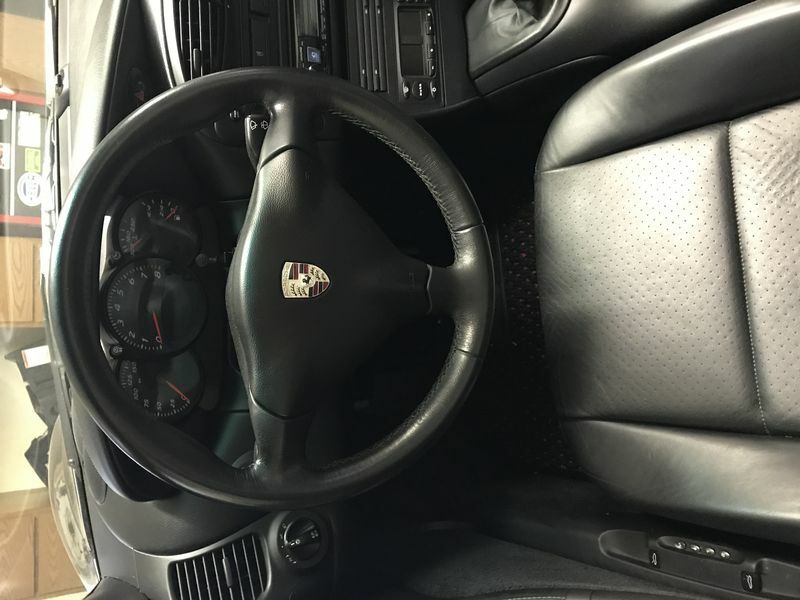 The interior is very nice carpets are super clean, bolsters look fine, supple leather. The exterior is accident free, original paint, and has remarkably little road rash, even the front facia. 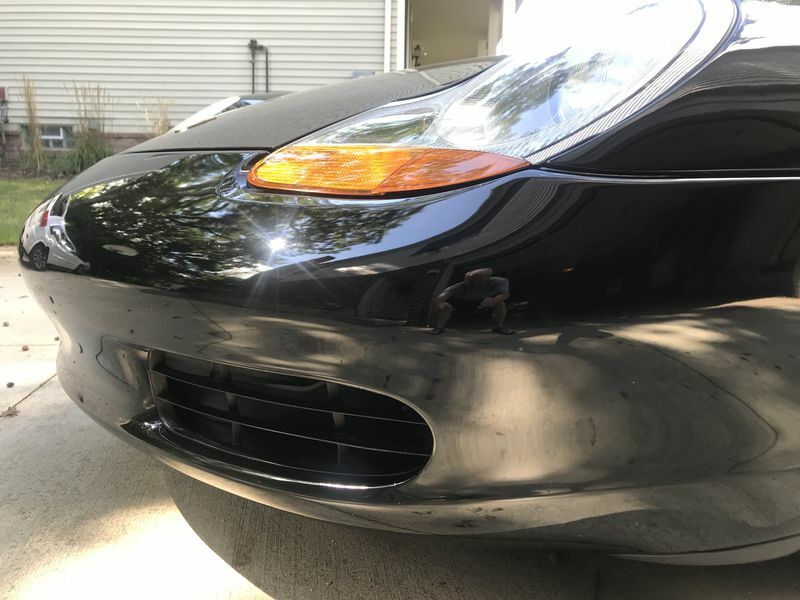 No dings, no rust, no deep snatched and just one stone chip of consequence near the front hood emblem - its been touched up. Overall this is a no-story car. 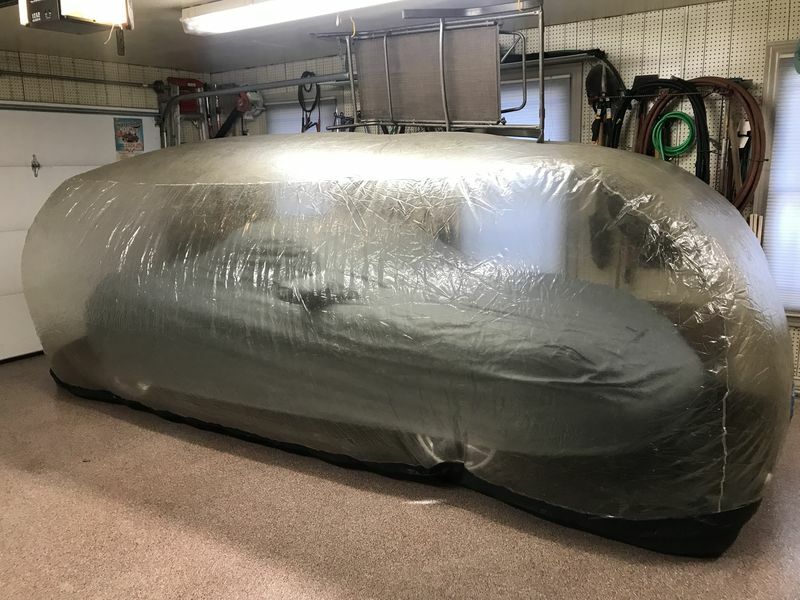 Stored all winter - never driven in rain, snow or salt. Maintenance has been kept up to date with good history. I have the sticker and the COA. Car will come with some nice extras too. Please contact me at dmpreston356@gmail.com. I can send some more pictures and more details. IMS done - LN Engineering (have original IMS too) work done at Porsche dealership - have all paperwork - registered with LN. Lift Bars (see pictures at: buy@liftbars.com) $300 - a must for ease of lifting your car, safely! Sorry - having trouble loading pictures - I will try again later, but I know that I can email some to anyone interested and we can certainly talk on the phone - please email me your phone number and we can arrange a call. I also can email some excel spreadsheets that I have on maintenance and owner history. Last edited by por356c; 01-03-2019 at 06:22 PM. Try loading lower def pics. There's a limit on size (think it's 5M). It would be nice if we could load higher res pics (hint, hint admins). Finally, I have some pictures for you! Thanks. 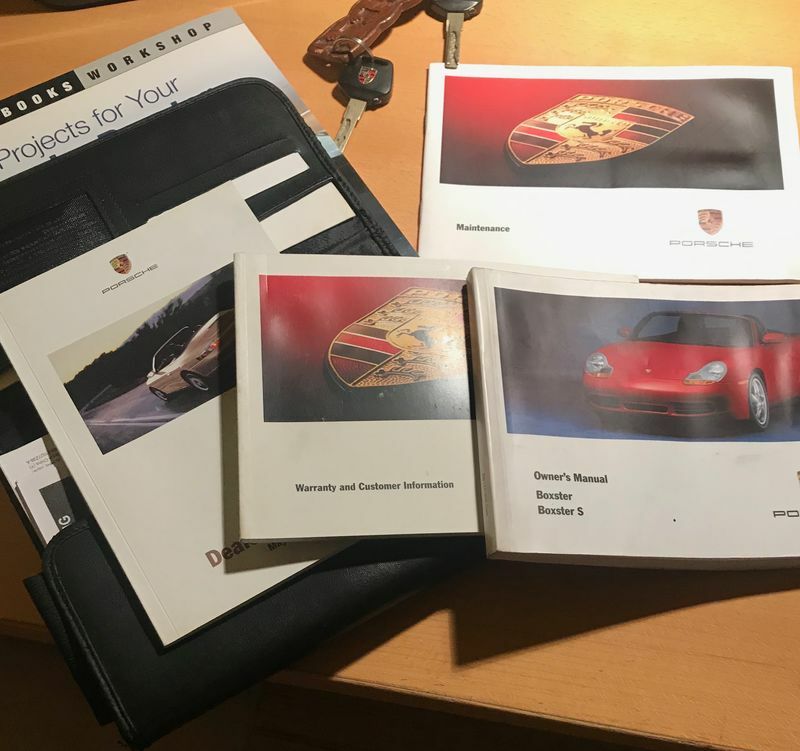 The car comes with full owners manuals, leather pouch and two keys. I have attached pictures of those items. It's in great shape. Car also comes with full tool kit and jack. 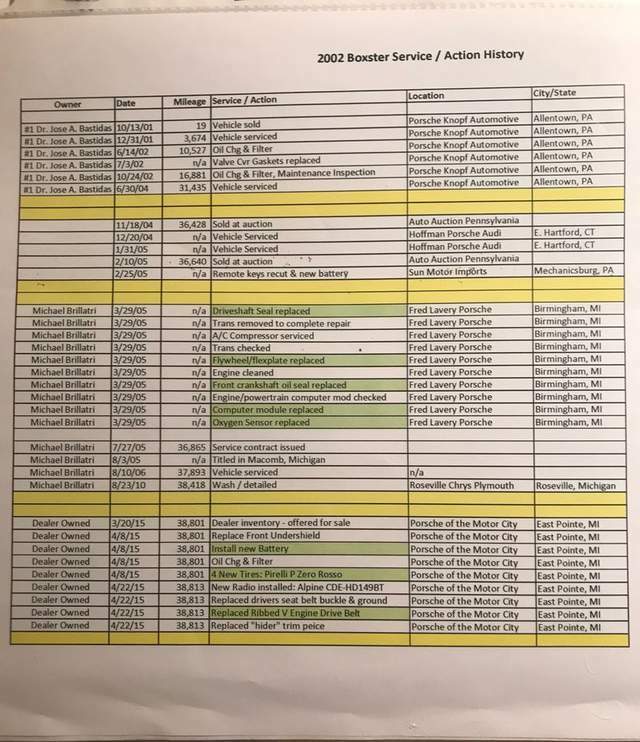 As I mentioned, I also have a detailed maintenance history of the car and I have attached a picture of one of the excel spreadsheets so you have an idea of its format. 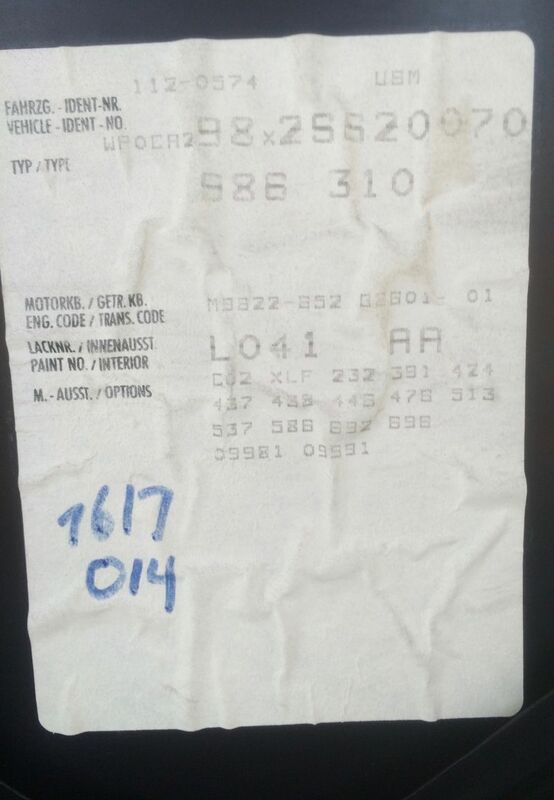 I have attached a picture of my book that has all of the cars' history, info, receipts, etc. 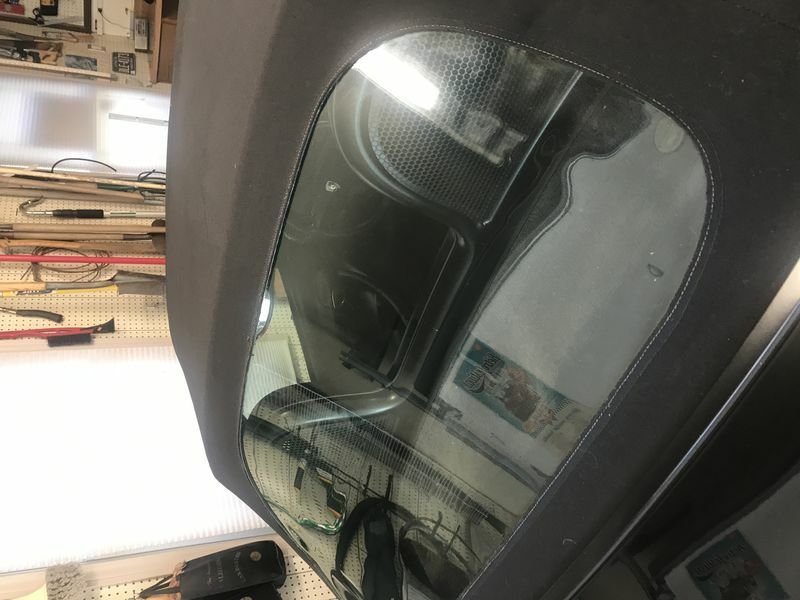 I have attached a picture of the Option Code sticker in the front trunk. Last edited by por356c; 01-03-2019 at 06:23 PM. WOW -- looks like a solid, beautiful vehicle at a very reasonable asking price. If I hadn't just purchased mine a few months ago I'd be all over this. GLWS! Thank you very much geekdaddy for those kind words! 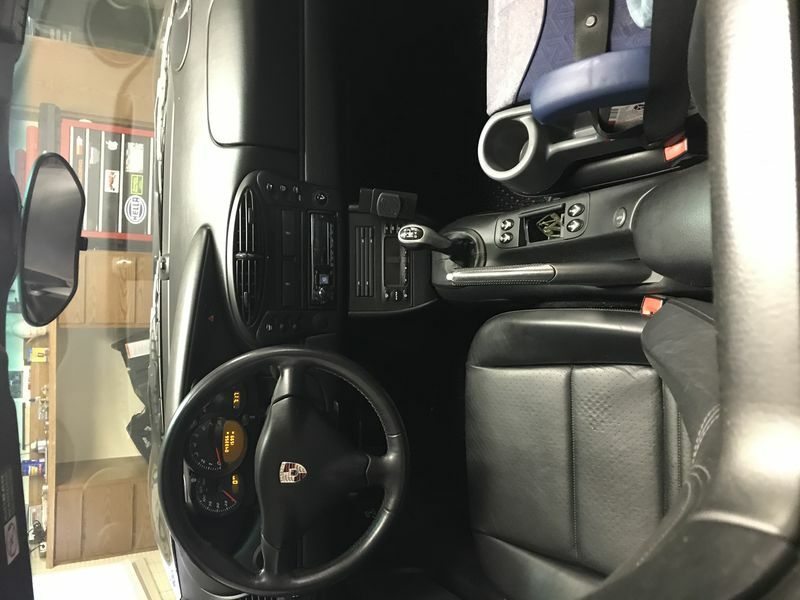 I agree with geekdaddy, great car. I am a constant watcher of cars and sales on various sites and saw a similar car on BAT. It will be interesting to see how that one goes (link below). Geekdaddy, where in New Eng? Sold this car tonight. Many thanks to Terry (Husker) for his great advice on selling this car. Not only does he sell the very best, his advice is fantastic. I sold it on CL locally in February in Michigan for $12,500. No small feat in the middle of a crap winter! 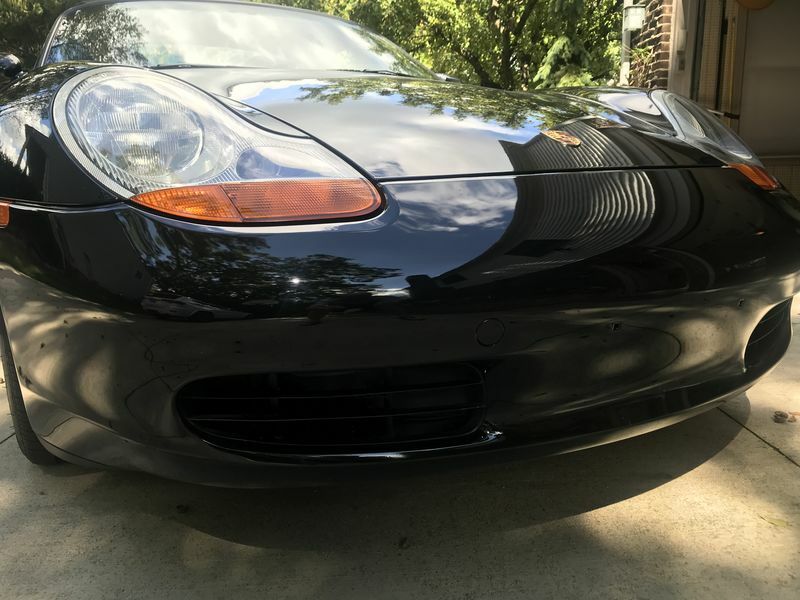 I was only asking $11,500 on this forum. A pretty fair price all around. It’s a really nice car. Thanks to all for the advice. Congrats and well done! 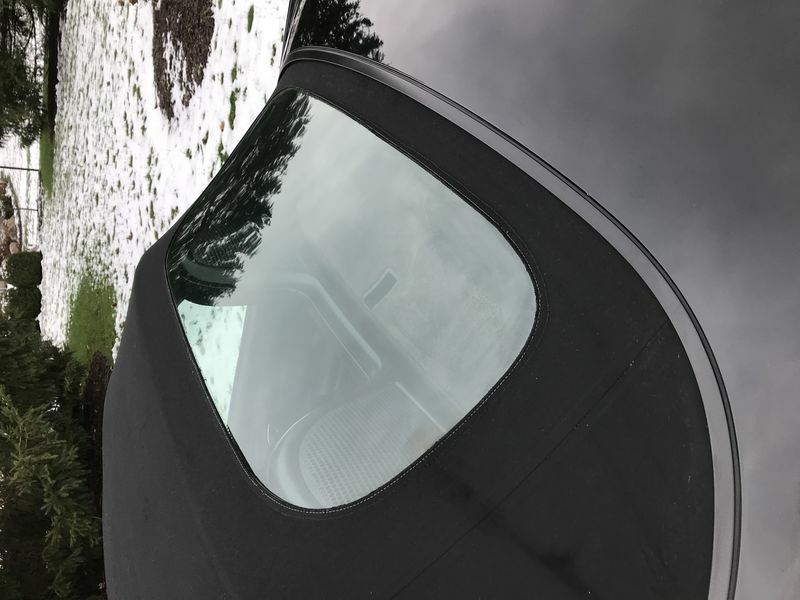 It's not easy selling sports cars in the midst of a nasty winter. And thanks for the compliment. Always happy to help. Hi PaulMc I am located in southern NH! on various sites and saw a similar car on BAT. It will be interesting to see how that one goes (link below).